Brian Auten over at Apologetics 315 has given his blog a makeover that you can checkout here. For those who are not familiar with the resource, Apologetics 315 is your one-stop for the latest, most up-to-date apologetics materials. Christian Apologetics Blog Directory- Truthbomb made the list! I encourage our readers to follow Apologetics 315 and spread the word! This is an outstanding resource for all those seeking to find and/or defend truth! 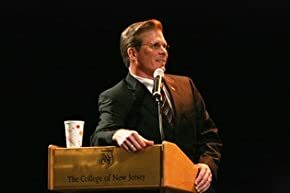 On October 10th, 2010, Dr. Frank Turek spoke at Faith Christian Fellowship on the topic of, "Does God Exist?" Here is the audio from that event. In this particular audio, Dr. Turek focuses mainly on the cosmological argument for God's existence. For more resources featuring Dr. Turek, see here. "I have come to the conclusion that if you cannot translate your own thoughts into uneducated language, then your thoughts are confused. Power to translate is the test of having really understood your own meaning." So basically, if you cannot communicate your thoughts to the average person on the street, it's most likely because you don't fully understand them yourself! "Traditionally these are questions for philosophy, but philosophy is dead. Philosophy has not kept up with modern developments in science, particularly physics. Scientists have become the bearers of the torch of discovery in our quest for knowledge." This statement reflects the attitude among many toward philosophy. I personally have run across this type of "Scientific Snobbery" in conversation and interactions with skeptics. "I'd rather ask a physicist than a philosopher any day"
"Philosophers are full of baloney and just like to hear themselves talk; I'll take a quantum physicist's word over theirs any day. " are not entirely uncommon in the blogosphere or in the local newspaper. Indeed. Even the statement, "Science is the only source of objective truth" is not itself a scientific truth, but it claims to be true! Therefore, the statement is self-defeating. Science is an extremely valuable tool and it's contributions to mankind have been great. But let us not be deceived- science owes it's life to philosophy. 1. Dr. Norman Geisler and Dr. Frank Turek, I Don't Have Enough Faith to be an Atheist, p. 127-128. Note: Geisler and Turek offer 2 other ways that science is built on philosophy in their book. Common Objection #12- "Where did Cain Get His Wife?" To my surprise, my wife recently heard of a student who's college philosophy professor presented the objection "Where did Cain get his wife?" as if it were a huge problem for the Bible believing Christian. Honestly, I thought this objection was resting silently in the dust bin of "lame objections," however, I was clearly mistaken. At any rate, here is a great article by Dr. Hugh Ross addressing the question entitled Finding a Wife for Cain. For answers to other common objections, see here. Dr. Turek's speaking engagement yesterday at Faith Christian Fellowship was a smash success! With hard-hitting evidence, clever illustrations, and witty humor, Dr. Turek presented compelling evidence that truth exists, God exists, miracles are possible, and that the New Testament is historically reliable. Many thanks to all of you who made Dr. Turek's visit to FCF possible. Special thanks goes to Dr. Turek for making the trip and enouraging each of us to "always being ready to make a defense to everyone who asks you to give an account for the hope that is in you" [1 Peter 3:15, NASB]. Finally, for those of you who wanted a copy of Dr. Turek's book I Don't Have Enough Faith to be an Atheist and couldn't afford it, please contact me at truthbombapologetics@gmail.com and I'll be sure that you get your own book, free of charge. Again, thank you to Dr. Frank Turek and all who made his visit to Faith Christian Fellowship possible. Note: As soon as Dr. Turek's messages are ready, I'll be sure to post them here! Phillip E. Johnson and John Mark Reynolds have written a little gem of book in Against All Gods: What's Right and Wrong about the New Atheism. For readers interested in the book's arrangement, Johnson has written the introduction, the epilogue and the first five chapters; while Reynolds has written chapters six through eight. Johnson and Reynolds have succeeded in addressing the arguments from the New Atheism with a fresh, sensible approach that is difficult to argue with. The result is an engaging, surprisingly short book (116 p.) that is packed full with informative, well thought out argument and challenges to the New Atheist movement. In this chapter, Phillip Johnson, most likely best known for his book Darwin on Trial, provides the reader with a brief history of the rise of the New Atheism and highlights some differences in their approach. Topics covered include the framing of the so-called "God vs. science" debate, why the new atheists are a threat to science, and the false connection between scientific advancement and naturalism. Much of the focus in this chapter is on the work of the passionate Darwinist Steven Pinker, Harvard psychologist and popular author. Building upon a piece written by Pinker in the Harvard Crimson in October of 2006, Johnson persuasively argues that faith is necessary for all people, including the scientist. Johnson further builds upon this point using illustrations from laboratory science and past political conflicts. With this in mind, the reader is challenged with the fact that, with the current evidence we have, only intelligent life, and science, exist on Earth. Johnson then precedes to indirectly address the question, "What is the best explanation of these facts?" Building upon the work of astronomer Guillermo Gonzalez and philosopher Jay Richards in their book Privileged Planet: How Our Planet is Designed for Discovery, he argues that sufficient evidence exists to challenge the idea that our Earth is merely a product of chance. The chapter is closed with numerous suggested questions for college students and their professors to discuss regarding the uniqueness of planet Earth. This reviewer found this chapter to be extremely thought-provoking, as Johnson explains the kind of "pre-suppositional" approach used by Darwinists to teach their epistemology. Thus, Darwinism, as Dawkins contends, is the only lens in which everything, including biology itself makes sense. Those who are familiar with Professor Phillip Johnson's work on Darwinism will get nothing much new here, but this reviewer found his ever present bold denouncement of dogmatic naturalism to be refreshing, especially when one considers the many members of the scientific establishment that are to timid to question the current paradigm. In this chapter, Victor Stenger's book God: The Failed Hypothesis: How Science Shows That God Does Not Exist is given special attention. As I read the chapters presented by Professor Johnson in this book, I felt as though I was being led along a journey that recapped the rise of New Atheism and the state of the debate today. However, I must admit that this reader feels that John Mark Reynolds took this work to another level. Not only is Reynolds' writing witty and powerful, but he seems to possess the uncanny ability to cut to the heart of whatever matter he is addressing while simultaneously educating the reader. In this chapter, Reynolds intelligently points out, from an academic point of view, that while attacks on the Bible by atheists such as Richard Dawkins are not offensive, it does not help that Dawkins and others like him do not know how to read such books! To this reviewers delight, after giving 4 reasons why the Bible deserves to be taken seriously, Reynolds presents a brief "mini-lesson" to the reader in biblical hermeneutics! Not only does the author explain the discipline and give helpful examples, but he also succeeds in writing one of the most mature and transparent responses to the often criticized narrative in the Bible of the conquest of Canaan by Joshua that this reader has ever come across. This response alone makes the book worth owning! This chapter concludes with a challenge to skeptics to ask the right questions, with an opened-mind, when reading the Bible. Reynolds continues in this chapter by demonstrating that historic Christianity has always valued education and that, contrary to popular rhetoric, it is modern skepticism that threatens ones desire to learn. The author's answer to this dilemma? A resurrection of wonder. Reynolds contends that it is wonder that "wants to believe that it may see what is actually true." In this final chapter, Reynolds takes issue with Christopher Hitchens' claim that everything religious is ultimately evil in some way. Instead of defending Christianity in the traditional manner, the author goes on the offensive contending that it is secularism, not Christianity, that in the end offers nothing of value to culture or progress. To his credit, Reynolds concedes that groups of people have used the guise of "religion" to do a great deal of harm; however, eventually it is Christian theism, not secularism, that finds itself at home with reason and meaning. Against All Gods: What's Right and Wrong about the New Atheism was simply a treat to read. I especially recommend it to those who have found the arguments from the New Atheism persuasive. I believe if you read this book with an opened mind you will find that the Christianity attacked by the likes of Hitchens, Dawkins, Dennett, and Harris to be a child's Sunday School version. Reynolds and Johnson do well in presenting a mature look at the Christian Worldview that proves to be very compelling; or at least worth looking into! Apologists will especially enjoy John Mark Reynolds' contributions to this text, as this reviewer believes that he succeeds in persuasively arguing for the legitimacy of the Christian Worldview and, in most cases, even manages to show it to be the superior.